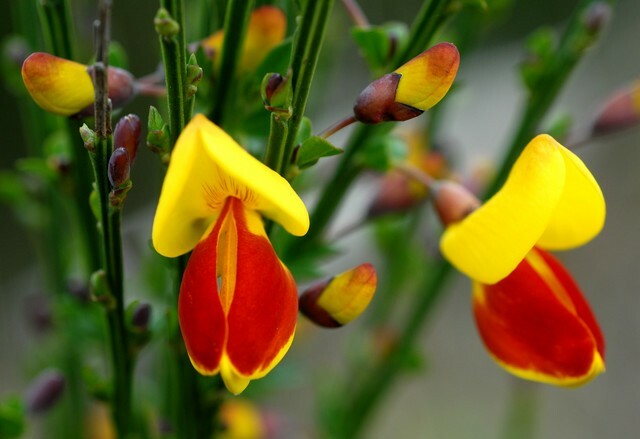 Cytisus scoparius is also called Basam, Bisom, Breeam, and Brum. Scotch Broom, a member of the leguminosae family, has been used amoung the Yaqui medicine men for its magical properties. Cytisus scoparius is native to the Canary Islands and was introduced into mexico from the Old World. Scotch Broom has been used in association with Witchcraft. Scotch broom, like sophora, contains the poisonous alkaloid Cytisine and should be regarded as toxic.